Mike has been training in martial arts for many years and brings excitement, motivation and huge amount of knowledge and experience to every class. He is trained in traditional Karate, Judo and Kickboxing. Having competed at high level Mike fully understands what it takes to be the best you can be. Mike is also the Designated Welfare/Safeguarding Officer, you can contact him through any of the numbers on this site or email. 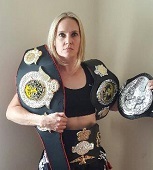 Andree has been with MSD for many years, she is currently the head coach of the ladies kickboxing. She has an amazing mind set and go to attitude which rubs of on students. Andree will motivate you and help you achieve your goals. She is currently one of the top female fighters in kickboxing and k-1 in her weight category holding titles in more than one organisation. 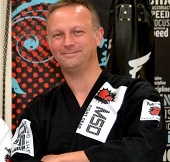 Chris has been with MSD Evolution for 13 years and solely focused on his traditional karate training and sharing what he has learnt with fellow students.